Stay posted for the new date-will reschedule the cobweb scarf class for July! 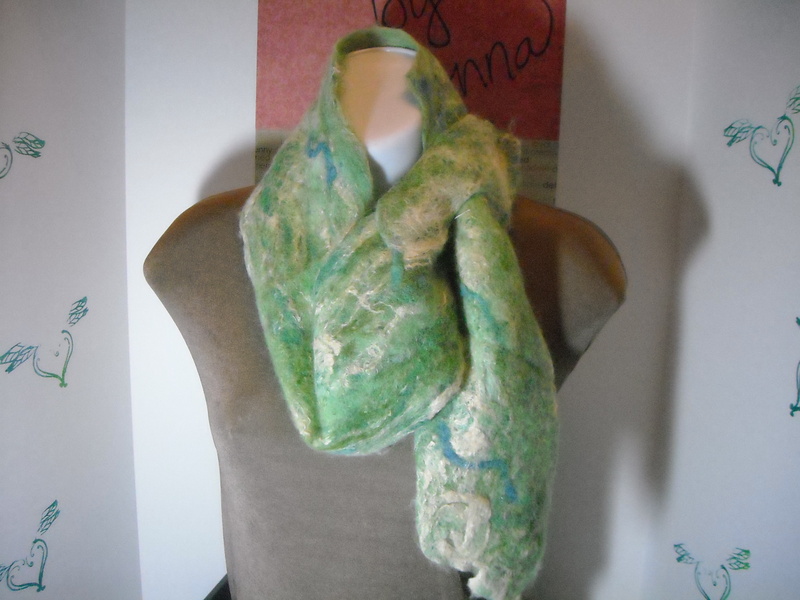 NEXT FELTING CLASS-Cobweb Felt Scarf! I will be carding up several fiber batts with alpaca and silk fibers to use for this class-lots of color selections-and the fibers are so luscious that you’ll have a tough time during the layout process. This will be an outdoor class, so wear clothes that are comfy (summer in Kansas and you’ll get wet!) and non-slip soled shoes. I’ll have iced tea and lemonade to help keep us cool! Limited space-only 6 students-and the class will be postponed if weather becomes an issue. I will be taking pictures during the class to post on the Potwin Fiber Artisans website (potwinfiber.org) and here on my blog-I promise, you’ll be featured in a great light and your face will be beaming with your beautiful scarf!